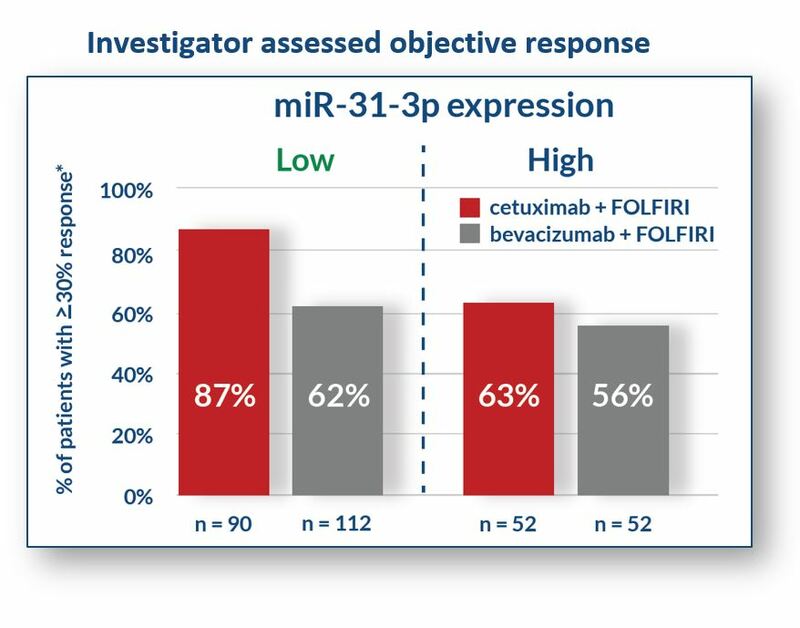 miR-31-3p enables clinicians to identify RAS WT mCRC patients for which first-line anti-EGFR treatment will be of greater clinical benefit versus anti-VEGF therapy or when second or further lines of treatment with anti-EGFR therapy is beneficial to patients with RAS WT mCRC. 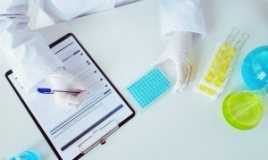 40% risk reduction for death when treated with cetuximab compared to bevacizumab. 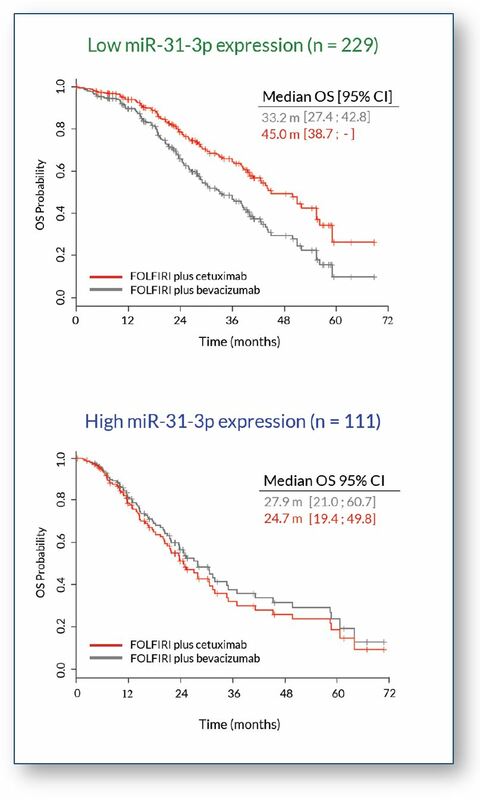 12 month longer median overall survival when treated with cetuximab versus bevacizumab. 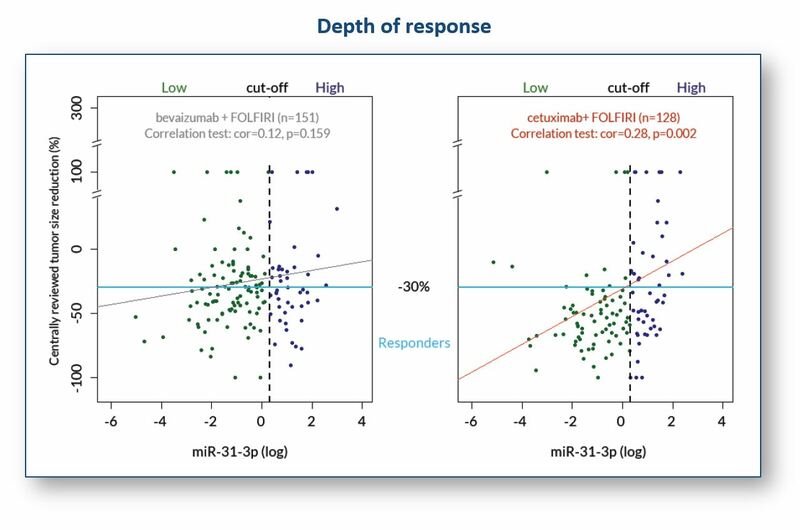 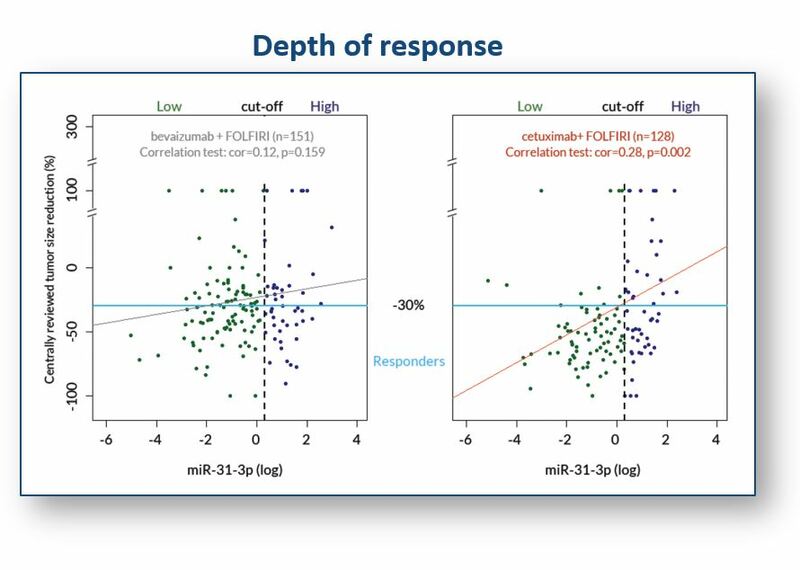 Click here to review the results of additional studies which have demonstrated the predictive effect miR-31-3p expression has on response to EGFR inhibitors in patients with mCRC.